Dash! 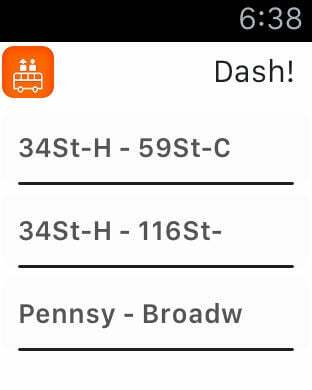 is ultimate app for your daily transit alerts. Dash! 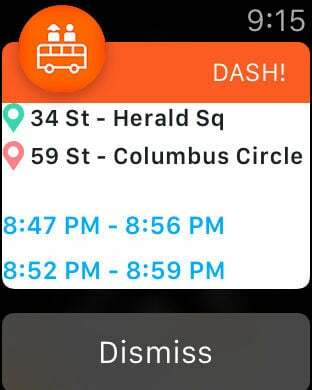 will let you know exactly when the next train or bus is departing (w/ real-time status and delays) as you walk to your stop. 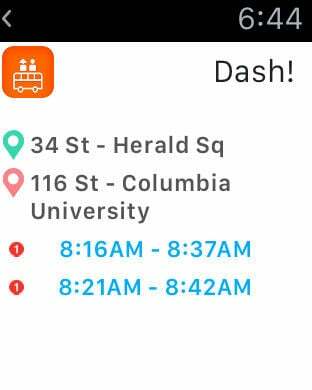 Whether it's a bus or a train, Dash! will provide you an easy way to stay on track. Dash! supports almost all major US cities and focuses on letting you plan a trip with transit. Not only can you search for directions right at the moment you need them, you can set to receive automated alerts on a daily basis. Dash! is making your the everyday urban transit much simpler and more usable. Write us to tell us what you want: support@DashNation.com. Please note the app requires data access and works best with GPS on. Continued use of GPS running in the background can dramatically decrease battery life. This app leverages an Apple service called the "significant location change service", which runs in the background and collects data only when your device has traveled a certain distance. In standard usage, this results in a tiny processing impact to your device. The benefit to you, as a rider, is assisting your transit agency so it can more intelligently position routes and stops as well as dispatch vehicles with optimal frequency.